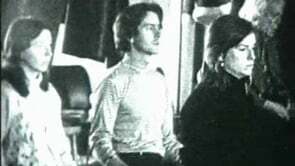 In 1977, I happened to be seated next to the Vidyadhara for several hours at an afternoon reception. An unbroken stream of people came up, knelt and spoke to him about projects new and old: curricula for classes at the dharmadhatus and Naropa Institute, possibilities of inviting visiting teachers, business enterprises, kasung meetings, refinements to the deleg system, fundraising, personnel problems, committees for health and well-being, and so forth. After one of the final guests had presented some plan or other, the Vidyadhara turned to me inquiringly, and I shrugged. Then he glared, pushed his face in mine, poked me hard in the chest, and hissed intently. Twenty years after his Parinirvana, this bald statement still expresses the heart of all the Vidyadhara’s work. Douglas Penick, a long time student of Chogyam Trungpa, is the author of several books about Gesar of Ling, as well as the libretto for two operas: Ashoka's Dream and King Gesar, both composed by Peter Lieberson. 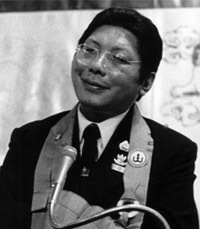 He was also, at one time, Trungpa Rinpoche's brother in law.